Little Marty the Mouse couldn’t wait to start writing his first Santa letter. After his recent worries about the possibility of being on Santa’s Naughty List, Marty was finally feeling a little relief. His cousin Jingles, who happens to one of Santa’s Christmas Mice and official mail helpers, gave Marty some great tips about Santa Claus and how to stay on his Nice List. You see, Jingles gets to read letters written to Santa, as well as personalized Santa letter written by Santa Claus himself. It seems that Santa just wants children everywhere to be the best they can be. This of course includes things like school work, helping around the house, and just being nice – but it also means listening to adults. That is the part that worries Marty the most. After all, his school work is good and he always does his chores, and everyone says he is one of the nicest mice in the wall of the big house. But Marty does sometimes disobey his parents. In case you didn’t know – our little Marty is full of adventure. He loves to explore the big house, but the problem is, Marty is not supposed to venture out into that big space by himself. But if you know Marty, you know that his sense of adventure sometimes gets the best of him and he gives in. That’s why Marty plans to write lots of Santa letters this year. He plans to build up the momentum of what he wants to say. Marty knows that he shouldn’t start out by asking for Christmas presents. Instead, Marty has decided that his first Santa letter will simply be a ‘thank you’ for all the great things that Santa Claus brought him last year. Last Christmas was wonderful! Not only did Marty get a new bike, but he also got a collection of books about his favorite hero, “Courage Mouse”. Marty wants to grow up and be just like Courage Mouse; this little hero travels the world to find mouse families that need help in some way and then he makes sure they get just what they need. Courage Mouse is nice to kids, grownups and animals. Marty will be sure to add some details about some of the fabulous journeys of Courage Mouse so Santa will know just how much he likes the books. LimeLife, the leading women’s cross-platform digital media company, today launched the “Apps for Good” campaign, contributing 10% of profits from its popular Hollywood Hangman iPhone game within a one-month period from May 21st to June 21st to Kiva.org, the micro-lending platform that alleviates poverty one loan at a time. Available on Apple® iTunes® for the iPhone and iPod Touch, Hollywood Hangman is a best-selling game on mobile phones, and is one of the first iPhone games to offer the social and multiplayer features enabled by Facebook Connect and Multiplayer WiFi. LimeLife realizes the importance of giving back to non-profits such as Kiva, which bolsters the opportunity for women in developing countries to cultivate an income and achieve economic independence. By encouraging consumers to download Hollywood Hangman, LimeLife will pave the way for people like Amavi Akoete, a Togoan 35 year-old mother of six to launch her jewelry-making business or Dulia Huanca, a Peruvian 23 year-old mother to launch her fruit stand. In a graphically rich gaming format, Hollywood Hangman combines word puzzle fun with celebrity, movie, TV, and music trivia for an exciting twist on the classic Hangman game. Players move up in status, going from a “Hollywood Hopeful” to a “Celebrity A-Lister”, by playing and solving Hangman word puzzles that boast their knowledge of showbiz, celebrity gossip and music. 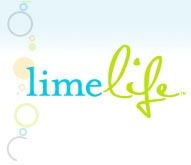 LimeLife, Inc., a Red Herring Global 100 company based in the San Francisco Bay Area, is a digital media company focused on the women’s market at the intersection of community, shopping, and entertainment. LimeLife is dedicated to creating fresh and smart experiences most relevant to 18-34 year old, media savvy women across multiple digital platforms. LimeLife can be accessed on the web at LimeLife.com and via mobile at m.LimeLife.com. LimeLife’s premium mobile content — games, wallpapers, text alerts and applications — is available through the major US wireless carriers. LimeLife’s MySnaps™ social shopping application and Hollywood Hangman are available on the iPhone. Kiva’s mission is to connect people through lending for the sake of alleviating poverty. Kiva is the world’s first person-to-person micro-lending website, empowering individuals to lend directly to unique entrepreneurs around the globe. The people you see on Kiva’s site are real individuals in need of funding – not marketing material. When people browse entrepreneurs’ profiles on the site, choose someone to lend to, and then make a loan, they are helping a real person make great strides towards economic independence and improve life for themselves, their family, and their community. Throughout the course of the loan (usually 6-12 months), a lender will receive email journal updates and track repayments.